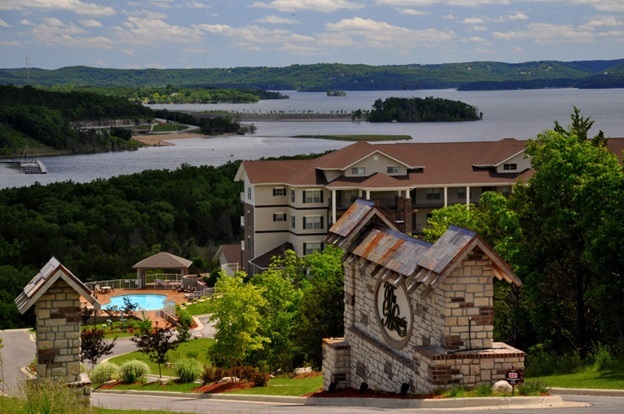 Thousand Hills Golf Resort has recently added lake condos in Branson at Table Rock Lake to the list of their condo rentals. These new 2, 3 and 4 bedroom lake condos in Branson are conveniently located just a few minutes away from the heart of Branson and the famous 76 Music Boulevard. These lake condo accommodations are beautifully nestled near the pristine Table Rock Lakefront and only minutes away from the Table Rock Dam, Dewey Short Visitor’s Center, State Park Marina and the Corps of Engineers swimming area, Moonshine Beach. These Table Rock Lake Condos in Branson are completely decked out with the newest in design and appointments. They all have fully furnished kitchens with all major appliances including full fridge, microwave oven, full size dishwashers, and even a washer/dryer. With all these great amenities, you always have the chance to cook your own food, if you don’t like to leave your room for dinner and you don’t have to worry anymore of bringing home dirty belongings. These lake condos in Branson will make you feel a sound sleep as they are equipped with high end bedding with triple sheeting and pillow-top mattresses. All bedrooms of lake condos have their own private bath, and the master bath always has a whirlpool tub. Each bedroom features a television with HBO and a DVD player as well. Words alone cannot fully describe the great surroundings of your lake condo accommodation. All the lake condos of Thousand Hills Golf Resort are beautifully located on the shore of Table Rock Lake where many visitors want to seek a wonderful escapade as the place features a relaxing atmosphere in a calm environment. As one of the cleanest and most pristine lakes in the country, Table Rock Lake with the wooded valleys surrounding it are quiet, peaceful and provide you a calm place to relax and reenergize. The beautiful lake condo accommodation where you stay is only a short walk from swimming and boating. For your enjoyment and convenience, the place where the lake condos are located features a private boat dock for your boating or fishing pleasure. You always have the chance to launch your boat at State Park Marina which is near your condo accommodation, then keep it overnight just down the hill from your accommodation. Ample parking space is provided near the lake condos as well. The lake condos at Thousand Hills Golf Resort provide a good opportunity to enjoy beautiful natural scenery and a spectacular view of the Ozark Mountain. The peaceful, calm, and picturesque view of the lakeside also provide a chance to enjoy great relaxation in a tranquil environment. To enjoy wholesome fun during your wonderful stay at your lake condo accommodation, take advantage of the dock facility in the area if you wish to go boating or fishing. Lake condos are some of the great accommodations in Branson where you can spend a wonderful holiday with the family as they are beautifully nestled near the pristine Table Rock Lake.